Stanislavski and systema – Sing. Dance. Fight. One thing that will NOT be threatened by the lack of FF [fossil fuels], on the contrary, will be leisure : I do theater, martial arts… all of which require little FF. On the other hand, the lack of free time to enjoy it WILL be a serious threat to even the least dispendious forms of leisure. That link between martial arts and acting is one that I began to explore a bit after I joined an improv acting group in Beijing. Although I had no opportunity to pursue it further after I left China, I still find it intriguing. In talking about muscle relaxation, Tortsov told a story out of his own life: in Rome, in a private house, he had the opportunity of watching an exhibition to test equilibrium, on the part of an American lady who was interested in the restoration of antique sculpture. In gathering up broken pieces and putting them together she tried to reconstitute the original pose of the statue. For this work, she was obliged to make a thorough study of weight in the human body, and to find out, through experiments with her own body, where the centre of gravity lies in any given pose. She acquired a remarkable flair for the quick discovery in herself of those centres which establish equilibrium. On the occasion described, she was pushed, and flung about, caused to stumble, put in what seemed to be untenable positions, but in each case she proved herself able to maintain her balance. Moreover, this lady, with two fingers, was able to upset a rather portly gentleman. This also she had learned through study of centres of weight. She could find the places that threatened the equilibrium of her opponent and overthrow him, without any effort, by pushing him in those spots. Sounds like a taijiquan manual! In fact, it’s taken from the chapter Relaxation of Muscles, in Constantin Stanislavski’s An Actor Prepares. It als reminds me of one element we worked on in the one systema class I’ve attended, in which we tried to find points on our partner’s body that would collapse their structure… I am convinced that somewhere in systema’s history one or more stage-trained people contributed insights from the actors’ craft! Training was highly physical and demanding, and Stanislavski’s respect for physical action brought his system to a point of apotheosis, a way of reaching emotional truth and psychological realism while maintaining a grip on control of the physical. Further: freeing oneself up for performing anything, be it Modern theater or Greek. Late in his life Stanislavski put much faith in an approach he called the Method of Physical Action. (The use of the word Method, again, causes confusion with Strasberg’s Method.) This approach, Stanislavski surmised, finally dealt completely with the instrument of the actor and with a universality of performance. The Method of Physical Action (hereafter, MPA) is complex. It requires an understanding of the significance of physical action, and in the performance of physical action. The idea behind the MPA is fairly simple, but its implications are profound. It is based on the idea that the only thing an actor will ever have control of in his life is “his body.” There is never a direct line to emotions in performance, only to the body. Emotions may be remembered and brought up via emotional memory, but Stanislavski generally considered this a rehearsal tool or technique of research, at best. There is, in the end, only the body. In the late 1920s, Chekhov emigrated to the Germany and set up his own studio, teaching a physical and imagination-based system of actor training. He developed the use of the “Psychological Gesture,” a concept derived from the Symbolist theories of Bely. In this technique, the actor physicalizes a character’s need or internal dynamic in the form of an external gesture. Subsequently, the outward gesture is suppressed and incorporated internally, allowing the physical memory to inform the performance on an unconscious level. [M]uch of what Chekhov explored addressed the question of how to access the unconscious creative self through indirect non-analytical means. Chekhov taught a range of movement dynamics such as molding, floating, flying, and radiating that actors use to find the physical core of a character. His techniques, though seemingly external, were meant to lead the actor to a rich internal life. I first started sensing that there was a natural overlap between martial arts, meditation and acting back in 2006, and gradually I’ve become more convinced of that. It turns out, of course, that I’m far from the first to think that! That brings me to some of the books that I bought on my last trip to Singapore. Phillip B. Zarrilli inPsychophysical Acting: An Intercultural Approach after Stanislavski discusses his use of Kalarippayattu and taijiquan in training actors in mind-body unity (though he consistently mis-spells it taiqiquan, which gets really annoying after a while!). David Zinder, in Body Voice Imagination: ImageWork Training and the Chekhov Technique also takes a deep look at the integration of body, voice, and imagination, including lots of exercises for improvisation. I find it really interesting that all these ideas and techniques were emerging from Russia in the run-up to the revolutionary period. 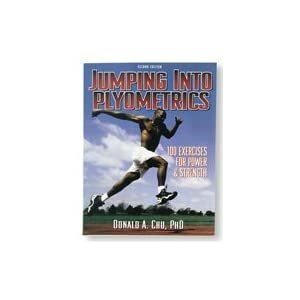 Another book I bought – more in hope than anticipation of actually using it – was Jumping into Plyometrics.Plyometrics, a method of rapidly improving muscle and nervous-system performance is, it turns out, also a Russian innovation.